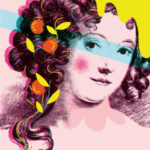 Nell Gwynn offers a glimpse into the boisterous world of Restoration theater and the true story of one of its most famous heroines—but hers is just one story. 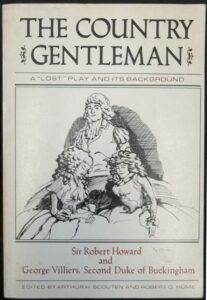 Another tale from the era is that of The Country Gentleman, a play written by Sir Robert Howard…with a little help from a friend. What about this play caused such a sensation? And how was it found again after disappearing for more than three centuries? Read on! George Villiers, 2nd Duke of Buckingham. We begin our tale with George Villiers, the 2nd Duke of Buckingham. Brought up in the court of Charles I after the 1st Duke of Buckingham’s assassination, Villiers fought on the Royalist side in the Second English Civil War, earning him a place at the court of King Charles II where “he applied his brilliant and undisciplined talents to political mischief with considerable success” (Scouten and Hume). John Dryden (Michael Glenn), Edward Kynaston (Christopher Dinolfo), Ned Spigget (Alex Michell) and Thomas Killigrew (Nigel Gore). Nell Gwynn, Folger Theatre, 2019. Photo: Brittany Diliberto. Christopher Dinolfo as Edward Kynaston. Kynaston was original famed for his portrayal of female roles. 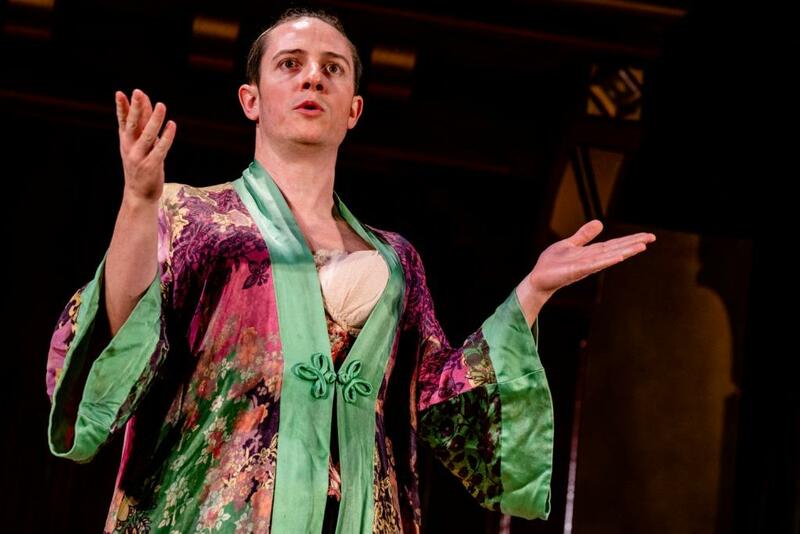 Nell Gwynn, Folger Theatre, 2019. Photo: Brittany Diliberto. The play was set to be performed on February 27, but Coventry caught wind of the scathing scene and threatened Killigrew that, if the play went forward, Coventry would go after the actor portraying Sir Cautious Trouble-all and “would cause his nose to be cut” (Diary of Samuel Pepys). This gave the company some pause, as the previous month Edward Kynaston (played by Christopher Dinolfo in Nell Gwynn) had acted “a part in abuse of Sir Charles Sedley” and was badly beaten for it (Pepys). The play was cancelled, but word had gotten out. 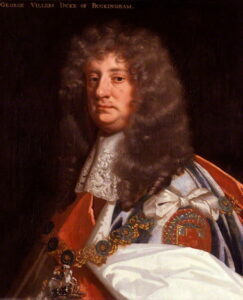 Not content to simply threaten the actors, Coventry also went after Buckingham, challenging him to a duel. Buckingham, who had recently gotten into hot water for dueling, put off responding to Coventry’s challenge, with the result that news of it reached the court and Coventry was shortly arrested and sent to the Tower for conspiring against the life of a royal counselor. He remained in the Tower for almost two months, but the damage had been done and his career was ruined. Buckingham, momentarily triumphant, would suffer his own fall two years later, in 1671. And the play? Surrounded by scandal, it was never performed nor published, and was assumed to be lost. Cut to: Washington, DC, 1973. Scholars Arthur H. Scouten and Robert D. Hume are working on their supplement volume to The London Stage 1660-1800 at the Folger Shakespeare Library. Among their items to cross-check is a holding in the library marked as “The Country Gentleman. Folger Shakespeare Lib. MS. V.b. 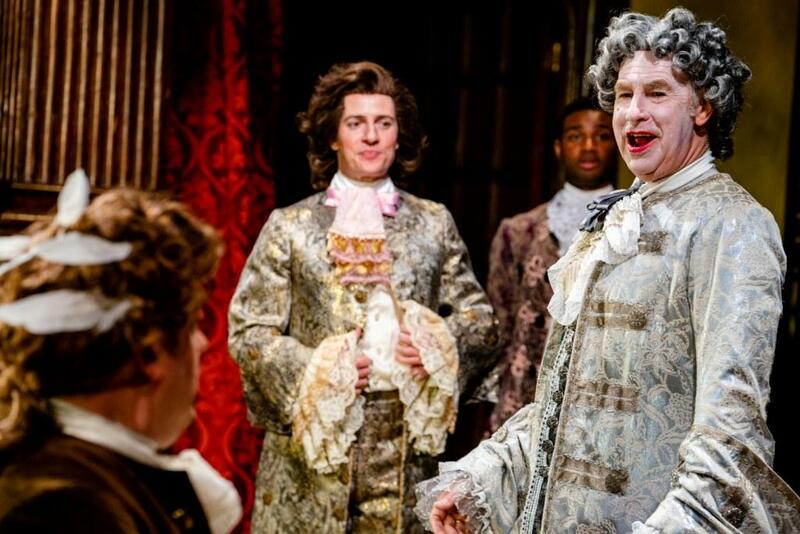 228.” Though they “idly” wonder if this play could in fact be the one “‘Forbidden. (intended for the King’s [Company]). Lost.” that was listed in the Annals of English Drama, they don’t have much hope that such a treasure had been left undiscovered for so long. Of course, that’s exactly what the manuscript turned out to be. And how could they tell it was the right one? The same way Coventry knew he was being mocked: the presence of a unique desk. At one point in the play, Sir Cautious shows off his unusual office furniture to Sir Gravity Empty, boasting about how he has made a “Table for business,” which allows him to sit in the middle of a round table, “fix my self upon a stool made for the nonce, which turns about on a swivell, and place my papers about me” (III.i.63-73). Coventry was known to have such a table, of which he was immensely proud and which he showed off to visitors, including diarist Samuel Pepys. And thus, The Country Gentleman was lost no more…much to the imagined chagrin of Sir William Coventry. Want to find out more about this remarkable discovery? Join us for a free lecture and staged reading of selected scenes led by scholar Deborah Payne on Friday, March 1. You can see Killigrew, Kynaston, and more figures from England’s Restoration theater scene in Nell Gwynn, on stage through March 10. For tickets and more information, visit us online or call the Folger Box Office at 202.544.7077. Directed by Robert Richmond; scenic design by Tony Cisek; costume design by Mariah Anzaldo Hale; lighting design by Andrew F. Griffin; sound design by Matt Otto.